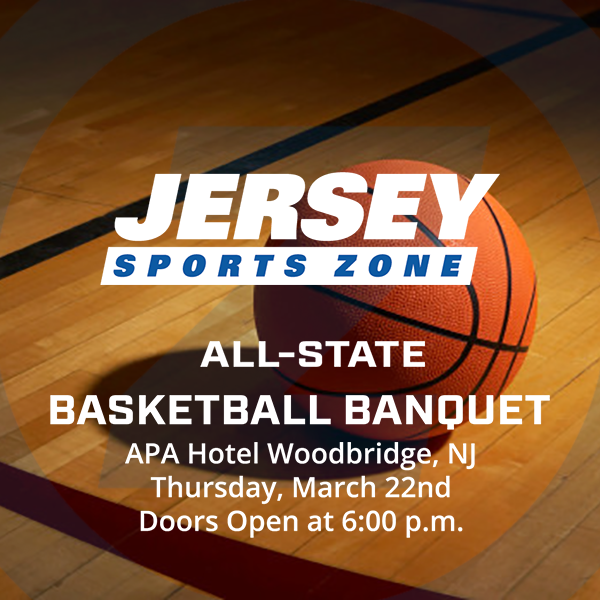 Jersey Sports Zone celebrates the 2017-2018 high school basketball season with our JSZ Basketball Boys/Girls Banquet. The top high school basketball players from New Jersey will be honored. JSZ will also honor our Top Plays of the Week and Plays of the Year winners. Our awards ceremony will feature high definition highlights of every player being honored. Players selected to the All-Zone team and their head coaches will be on the guest list. All parents, relatives, friends, and other guests can purchase a ticket for our dinner and presentation. We hope that you join us at the APA Hotel in Woodbridge for this special night honoring the top New Jersey high school basketball players!